Here lately, I have been OBSESSED with freezer meals. Mostly because life never seems to slow down and they make cooking dinner so much easier. Plus, most of them can be tossed in the crockpot and forgotten about, which makes for a less stressed Momma. 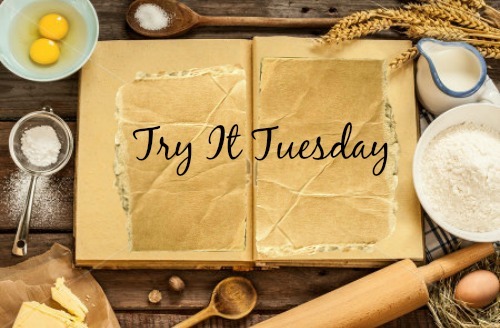 I perused Pinterest and found a site loaded with freezer meals and picked the one that I already had ingredients for (because, with two littles, its a battle to get to the store). Enter: Chicken Hurry. Then, toss everything (except the water) into the bag and place in the freezer. BAM! Meal ready to go! I didn’t get a picture of this after I cooked it because I completely forgot! This recipe was…okay. It smelled awesome, but just seemed too “ketchup-y” for my liking, so about an hour before it would be fully cooked in the crock pot, I added about 1/4 cup BBQ sauce, to add some more flavor to it. I thought it was alright; Huff the Hubs thought it was great. I’d give it a 2 out of 5 stars. Have you ever made this before? Have you made something similar? What were your results? Share in the comments below! Over the past few weeks, I’ve been trying to shake up our daily menus. But, I really need healthy items for our family’s table…evidently its harder to lose weight in your 30’s. Womp, womp. But, luckily, I found this! 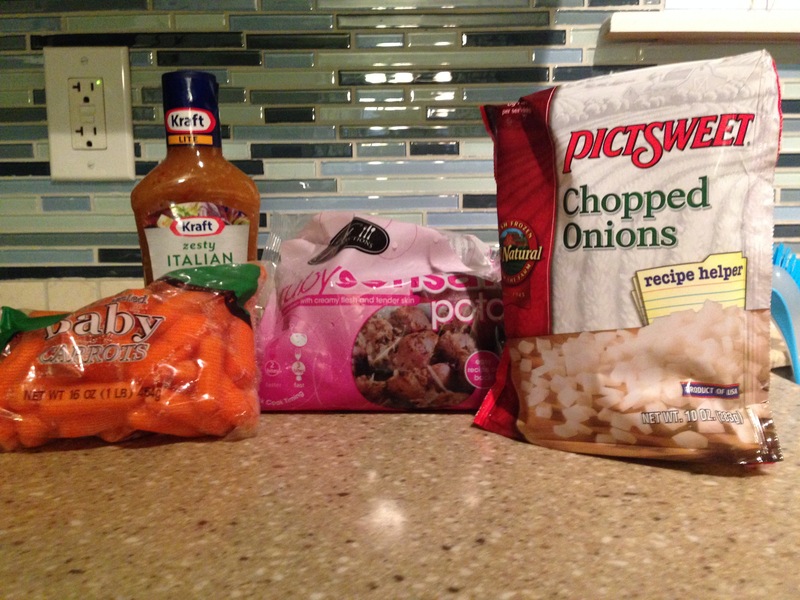 Its Easy Crockpot Italian Chicken! 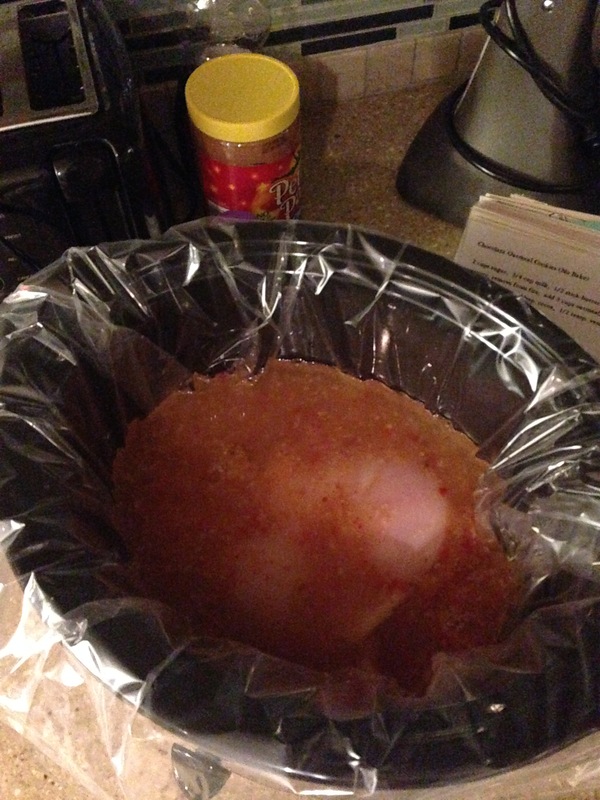 First, put the thawed chicken breasts into the crockpot and pour the entire bottle of dressing over the chicken. Add the cup of water. Then, you can either add all of the other ingredients, stir, and cover OR you can do what I did. 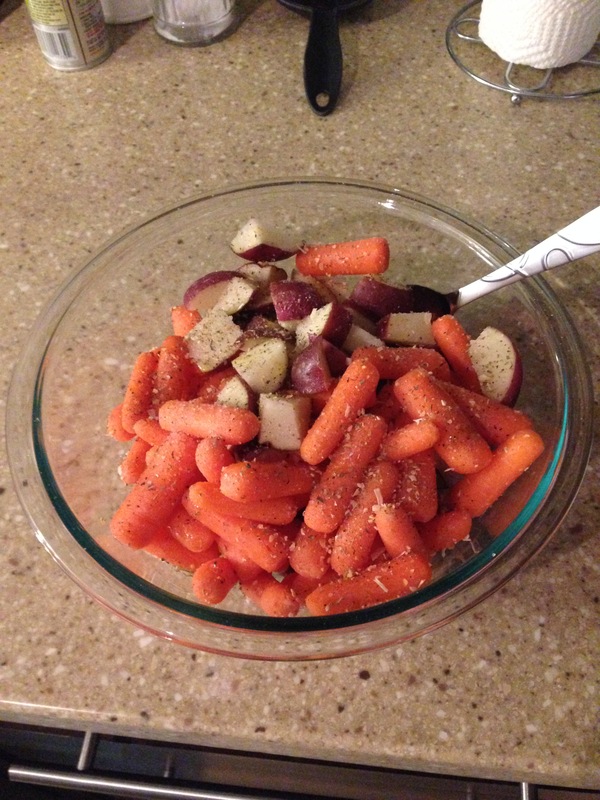 I put the veggies in a medium-sized bowl, sprinkled them with sea salt, Italian seasonings, and garlic. 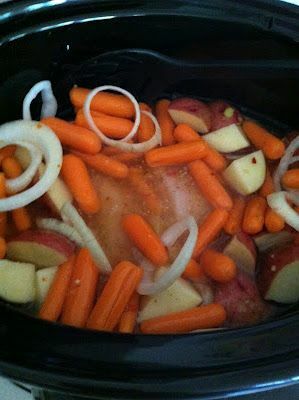 I stirred the veggies all together and poured them into the crockpot on top of the chicken. Seven hours later, we feasted! This was pretty good! I liked it because I didn’t have to worry about making sides. 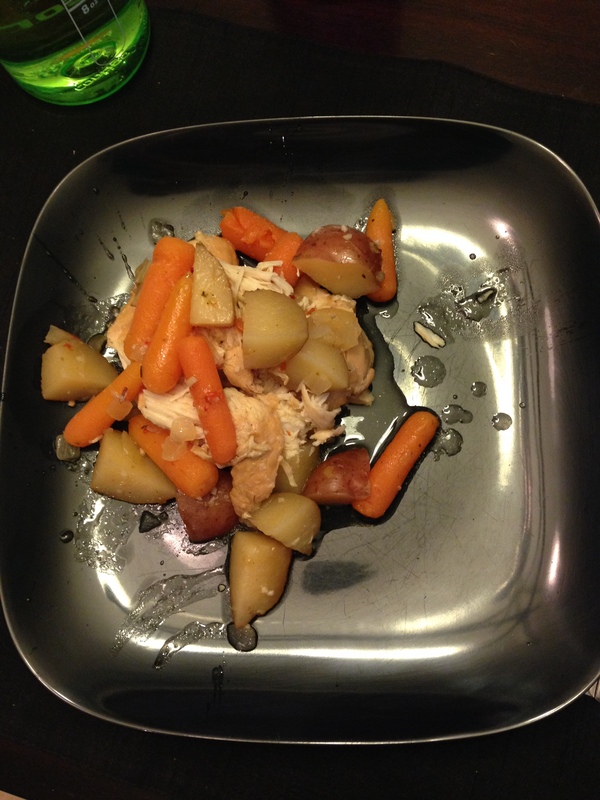 I just scooped it out on a plate and dinner was served! I think next time I’ll make some rice to go with it. The Italian dressing had such a punch to it that I needed a bland flavor to kind of tone it down. Huff the Hubs LOVED this! So I guess its a winner! Have you ever tried this before? What were your thoughts?